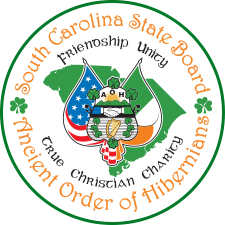 Tickets and money will be due to the state chairman O’Connor before Friday, March 8, 2019. Each Division will receive an assigned number of Raffle Tickets. Raffle Chairman will allot tickets based on a combination of factors including: Size of Division, Tickets sold in the past, consideration for new Division and small Divisions. Division will be responsible for the sale of all raffle tickets assigned to it. Divisions may transfer raffle tickets to other Divisions for sale. Original Division will receive credit for the ticket being sold towards its goal of selling all tickets. Selling Division will receive the $30 (thirty dollar) rebate for all tickets it sells, regardless of who they were assigned too. Divisions who sell or have sold for them all of their Raffle Tickets shall be exempt from state dues. If a Division does not sell all of its allotment of tickets or transfers some of their tickets to another Division and that Division does not sell all of the extra tickets then the Four State Officers, based on all facts make the final decision on whether dues are due or not in each special case. New Divisions are exempt from state dues for their first year. Division Raffle Chairman is responsible for reporting on all sales and requests for additional tickets. All changes and requests must be reported to state raffle chairman. Mass mailing of tickets to members is discouraged. Tickets should be hand delivered or mailed only to those who request them being mailed. State Raffle Chairman will assist in transferring tickets between Divisions if asked. All funds and ticket stubs are due in the state chairman’s hands one week before the drawing. Drawing will be held in a public drawing at 10 AM on St. Patrick’s Day at St. Gregory the Great Church, Bluffton. Winner will receive the trip for four to Ireland with benefits described as follows: Ireland Travel is limited to September thru May. You may upgrade to peak travel months at winner’s expense, but must be taken by the year following the drawing. The winner and all companions begin the trip from the winner’s residence. Trip Includes: Air-Fare, Bed & Breakfast, Greens Fees and a Car. If you’re not a golfer, a check for $1000 is provided instead of golf fees. Trip has no cash value, but may be sold or transferred. 2nd Place will receive a trip for two on a cruise ship out of Charleston in an outside cabin. 3rd place will receive a check for $ 500.00. A Division Check for $70 for each ticket should be turned in along with ticket stubs. Any disputes will be resolved by the Fund Raising Project Chairman and SC State Board Officers. The Project Chairman and the 5-man SC State Board Officers shall be the sole judge of all disputes brought about by ticket winners or purchasers. This year the number of tickets is set at 350. Please send tickets and check in a secure envelope and registered.